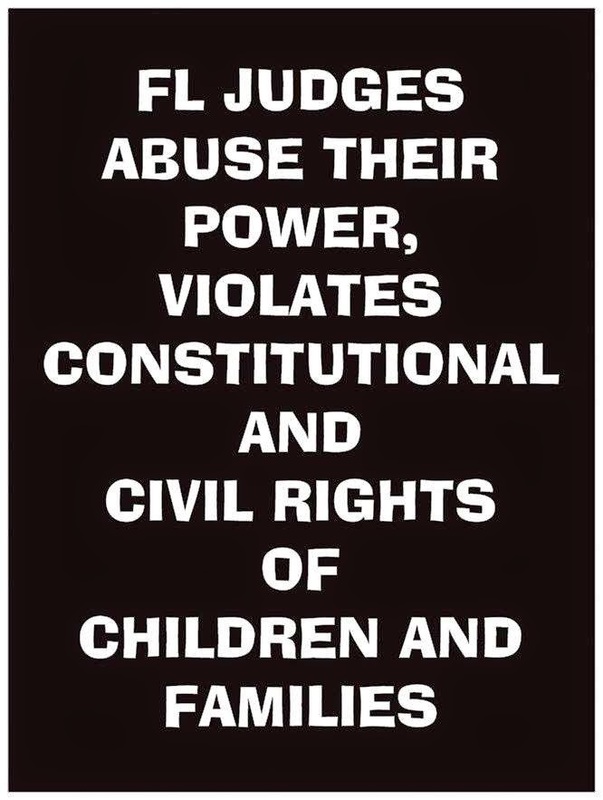 Children's Rights: A system which denies the existence of basic human rights! A system which denies the existence of basic human rights! 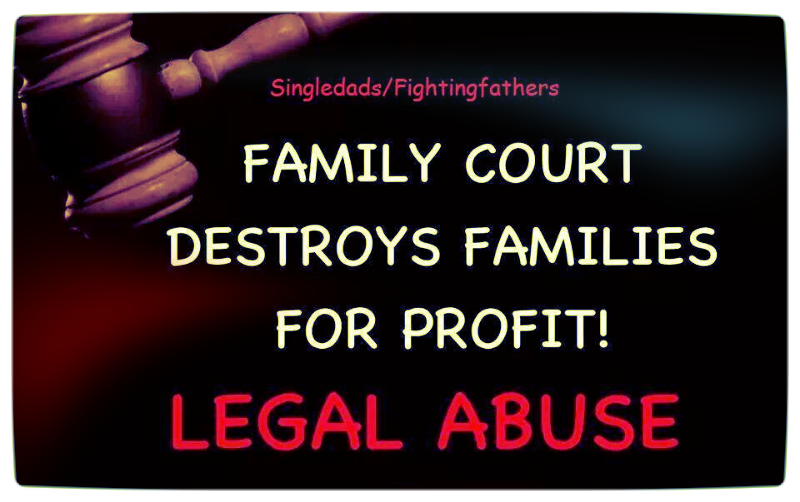 Ron B Palmer is the President and founder of Fix Family Courts. He has passionately dedicated many hundreds of hours to researching state and federal appellate court decisions on family law matters. He routinely distills this information into powerful arguments for the protection of parental rights which he believes is necessary to protect children. 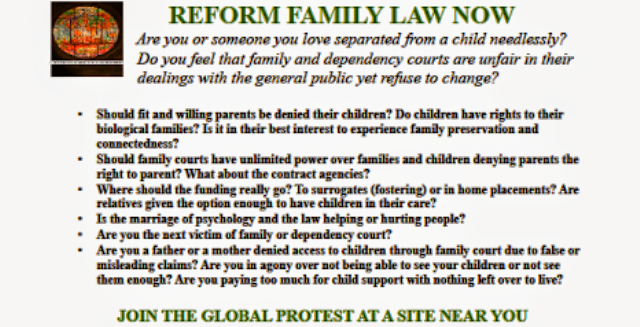 He firmly believes that children are best protected and nurtured by having two fit parents in their lives who each have equal parental authority regardless of their marital status. 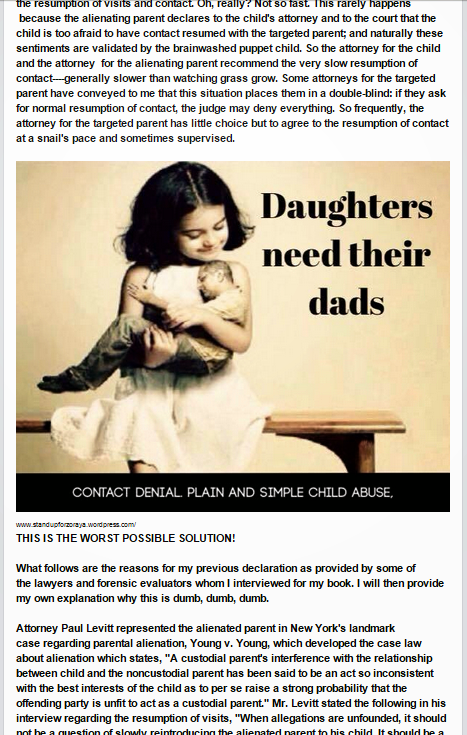 He believes this is true even though some small percentage of parents harm their children. As an entrepreneur and mother of 5 Sherry graduated with a bachelor’s degree from the University of North Texas in proposal writing from the college of community service at the University of North Texas before co-founding Fix Family Courts with her husband and partner, Ron B Palmer. 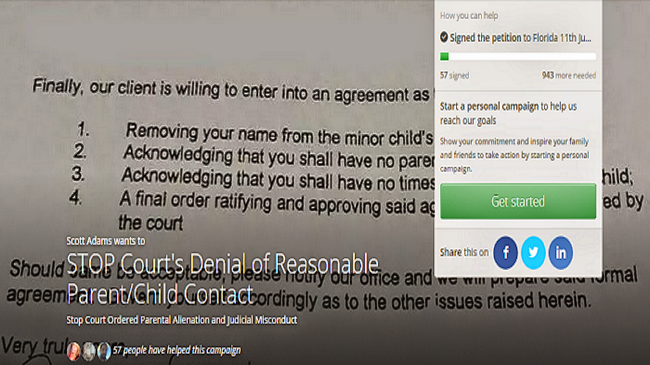 Sherry has twice in her life had to face down oppressive court systems trying to harm her life. First as a young child growing up in the streets of California she had to fight judges and state bureaucrats simply to remain in her normal public school classes where she was excelling in spite of her living conditions. 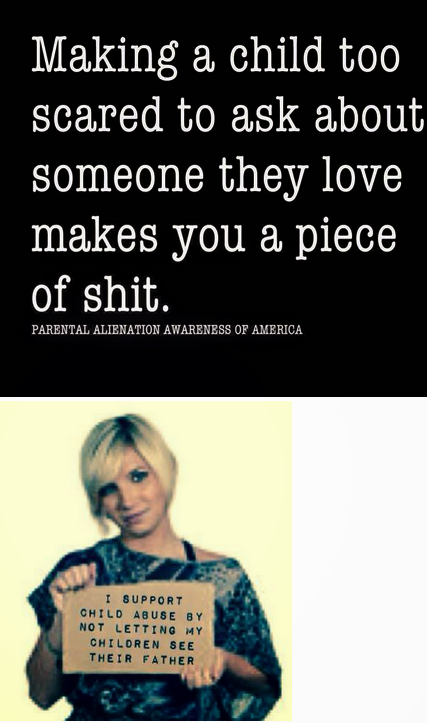 Second as a mother facing divorce and a court system seeking to take her children from her for no reason whatsoever. While her two oldest children aged out and were taken from her through alienation, she was able to stop the system from stealing her younger two. 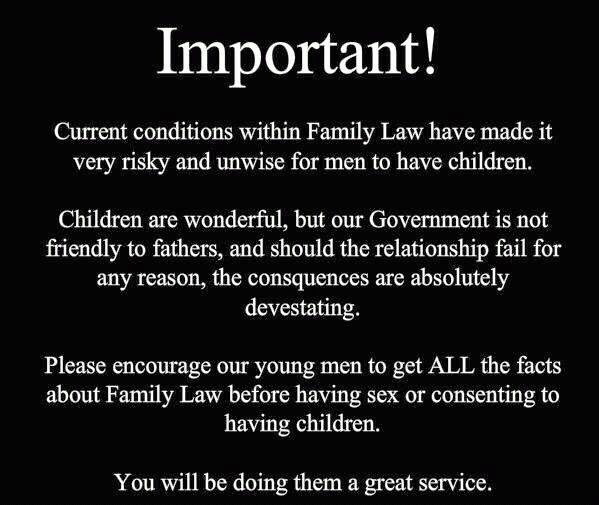 There is no question that our family law statutes need to be reformed and that there is a great deal of "judicial discretion" in family law matters. Often times, the outcome of your case depends more on the judge that you have been assigned than the facts of your particular case. If you were to have your case in front of one judge, the outcome may be very different if you were to have your case in front of a different judge. The legislature is trying to change that, in particular when it comes to time-sharing with children. There are changes to alimony as well that I will address in a later blog, but I wanted my readers to be aware of the changes that are being proposed for time-sharing because it is substantial. If the Bill passes, there will now be a presumption that equal (50/50) time-sharing is in a child's best interest, with very limited exceptions. 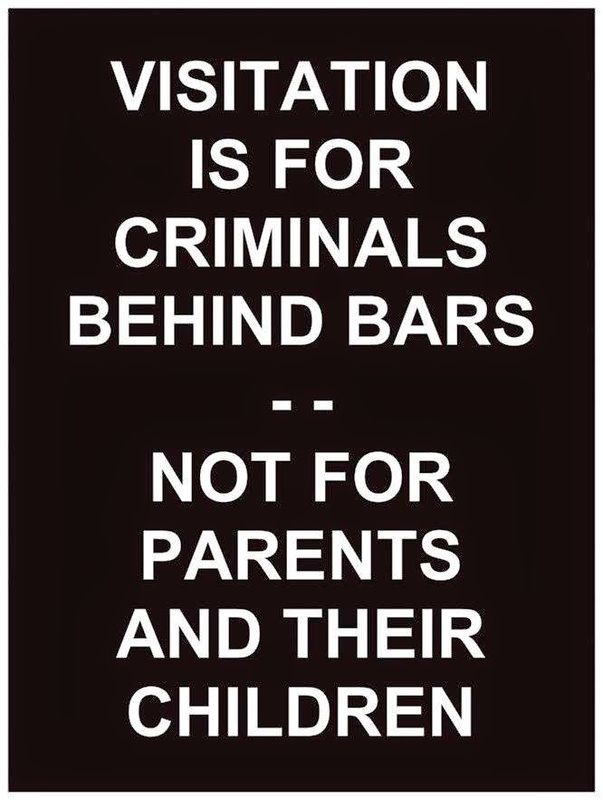 The exceptions would be in the nature of real harm to a child that a parent is incarcerated, a parent is unfit, or the parent's geographical distance would hinder the ability for a 50/50 time-sharing schedule to work. If this passes and is signed into law, most families would be automatically forced into a 50/50 timesharing arrangement if one party were to want that. 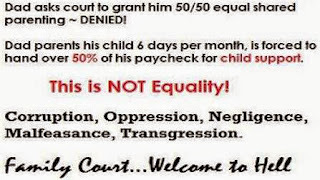 I have had plenty of cases in the past and some cases right now where one parent does not want an equal time-sharing schedule for a variety of different reasons. Some reasons are valid; some reasons are not valid enough to take the issue before the Court. 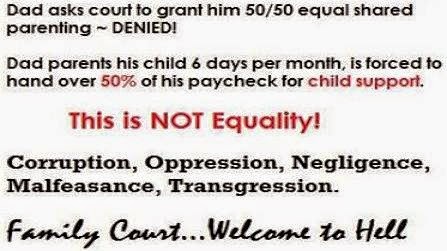 With this new law, if it is passed, every family will be forced into a 50/50 schedule provided that one parent is requesting it. 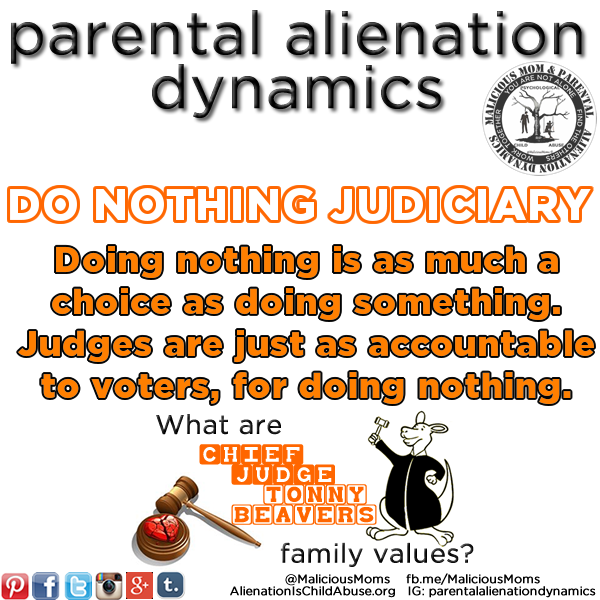 We do a lot of 50/50 time-sharing arrangements and have had a Judge rule many times that 50/50 is what a couple is going to have, but there are many families who want to alter or adjust this schedule after the final hearing because the schedule is simply not working. Absent a substantial and permanent change of circumstances, couples are going to be stuck with these schedules, regardless of whether or not it’s "working". I agree with the idea that if we have a presumption that 50/50 is in the children's best interest, there will be less room for argument and people would have to acquiesce on this issue. Taking any argument off the table that 50/50 is not good because a parent simply doesn't want it will help insure that less litigation ensues over "best interest of the children". However, what I don't agree with is that we should take the approach of "one size fits all" when it comes to dealing with children. 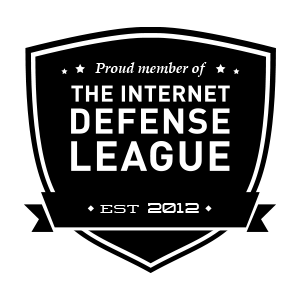 It'll be interesting to see how this develops and if you have issue with this potential law, I urge you to contact your representative. I've received superb references via reports written by Family Court Services﻿ staff/observers that were submitted to Judge Manno-Schurr of the 11th Judicial Circuit of Miami - Dade County Florida and are archived in case no. 2008-29595 FC 17. 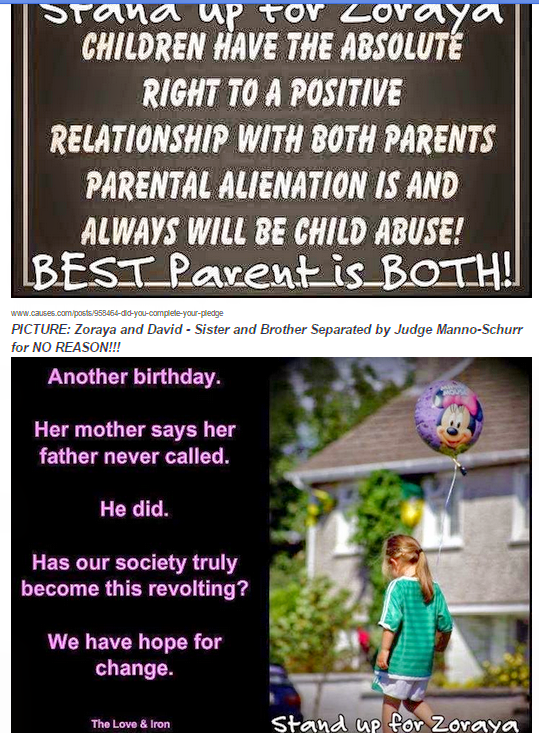 Judge Manno-Schurr ordered another 12 weeks of Supervised Visitation on November 4th, 2014 to commence on January 24th, 2015.AND also promised an "alternative" method of Supervised Visitation Network﻿. Nothing occurred. I reported to the Supervised Visitation at the same place as the last 36! 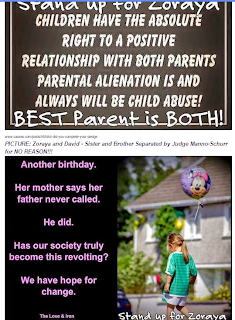 On January 24th, after my daughter left the room, I complained to the 3 staff members/observers that it is obvious, especially to me, that she is being brainwashed and is probably suffering from Parental alienation syndrome﻿ and or Stockholm syndrome﻿ . I reminded them that they had an obligation to report child abuse to the Florida Department of Children and Families﻿. 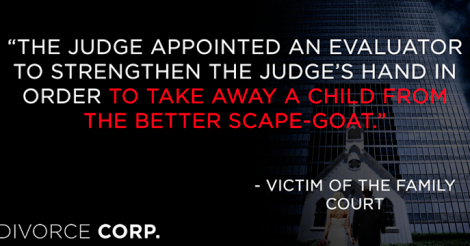 On Monday, Linda Fieldstone, called me to advise they are referring the case back to the Judge﻿. The point is that anyone and everyone that has seen my daughter and I together knows that I am a great dad. The Judge refuses to read the entire history of the case and after 3 reports that indicate I'm a great father she refused to accept my suggestion that my daughter and I meet with her in Judge's Chamber. She refused saying she was not a psychologist. I said to her that she doesn't have to be a psychologist...she just has to be HUMAN. Keep in mind that I have joint custody of my son. 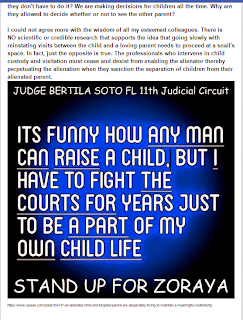 — at Family Courthouse -Miami-Dade. Families Civil Liberties Union www.fclu.org's post — reading Civil Rights with Reform FamilyLaw in Florida. As described in Dr. Xxxxx's Report, the Petitioner (he and) his family never presented any history of mental illness or disease. That as described in this Petition, the actions of the Respondent/Mother and these Court proceedings is what caused the Petitioner/Father trauma and injury and the reason he sought the help on an “emergency basis” on October 30th, 2008. Herein described in paragraph 3) (G) (3) and all of its subparagraphs are the initial traumatic events that led to the Petitioner/Father’s trauma and injury and misdiagnosis of having a “mental illness” as described by his initial treating psychiatrist instead of his current diagnosis by Petitioner/Father’s current treating psychiatrist/neurologist of a “psychiatric injury” that has caused him Post Traumatic Stress Disorder and the consequential Situational Depression. As a result Dr. Xxxxx, the Court Appointed Psychologist, has gathered misinformation which was reported to and used in Judge's Final Judgment. 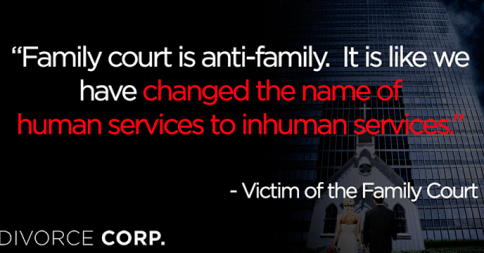 See Hoffman v. Foley, 541 So. 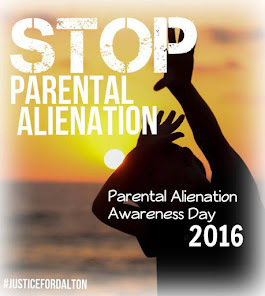 2d 145 - Intentional and malicious interference with parent's timesharing causing emotional distress. lives I have not spent time with them. God I miss them so much! I fought like hell the last 4 years to stay alive for one and ONLY one reason. 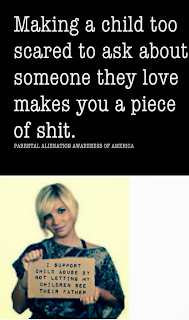 That reason was so I could raise my children and watch them become amazing adults. They need me as much as I need them. 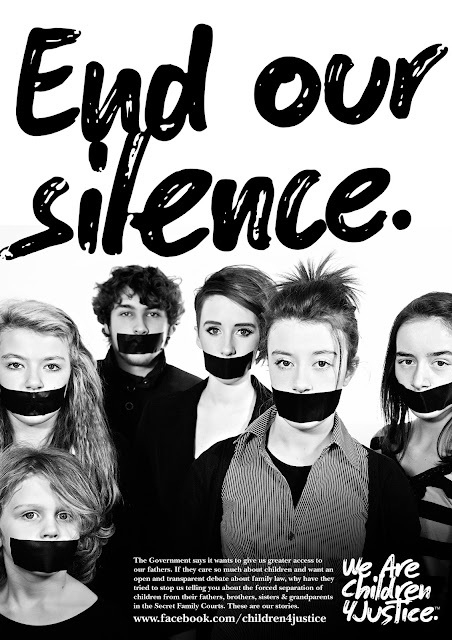 I will fight just as hard for them to have a voice as well. 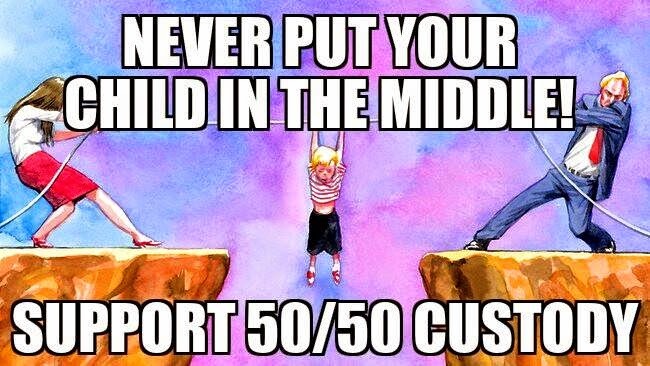 My children came to me for help. I have reached out to so many people that could have stopped this from happening but no one listened. I will not give any more information because I doubt you are listening but maybe somebody will eventually listen to my side and protect those beautiful children that simply asked for help. I have always taught my children there are no problems, only solutions. I think all of our children deserve a solution that is truly in the children's best interest. Until then the alienation will continue and I will receive threats from the alienators. As I was told in the most recent message from the other parents, "When you left, you made a conscience decision to abandon and forego activities and decisions in their lives." How do you reason with people that think this way? If you have read this then I thank you for your time and apologize for assuming you would not listen. 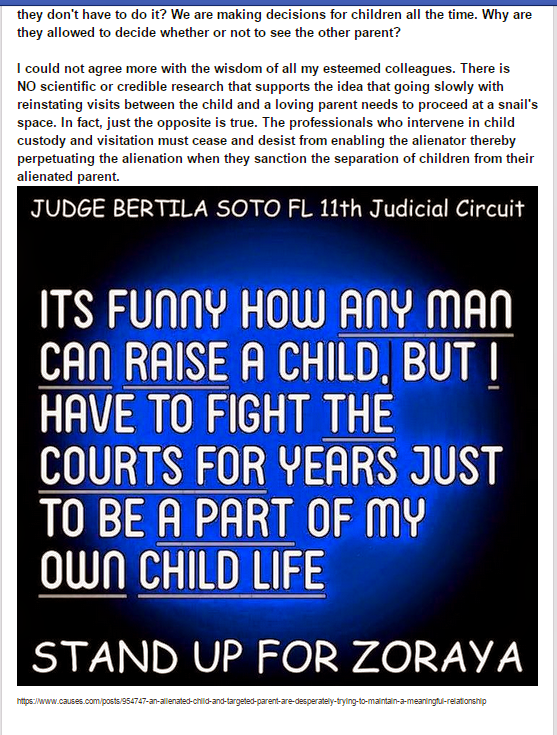 A False Police Report of Domestic Violence was given to my daughter\'s mother by the Miami-Dade Police Department after I put my best foot forward 6 years ago when I filed my Paternity Suit. 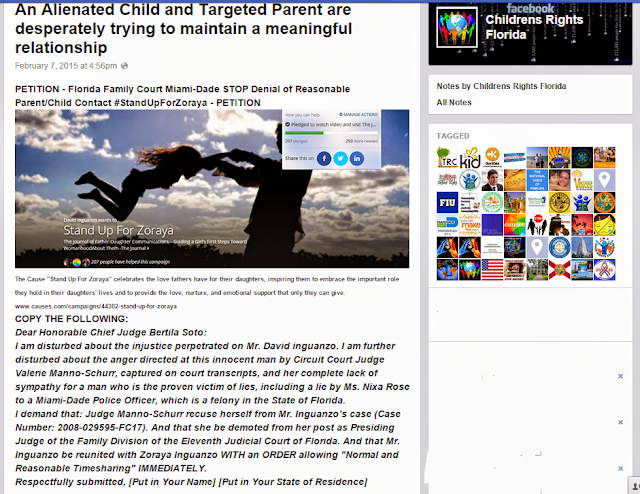 The complete explanation of this nightmare available on my Children\'s Rights Blog the article called \"Reckless Disregard\" at http://www.ILoveAndNeedMyDaughter.blogspot.com . During this ordeal I have successfully completed 36 weeks of supervised visitation with my daughter at the Lawson E. Thomas Courthouse Center. 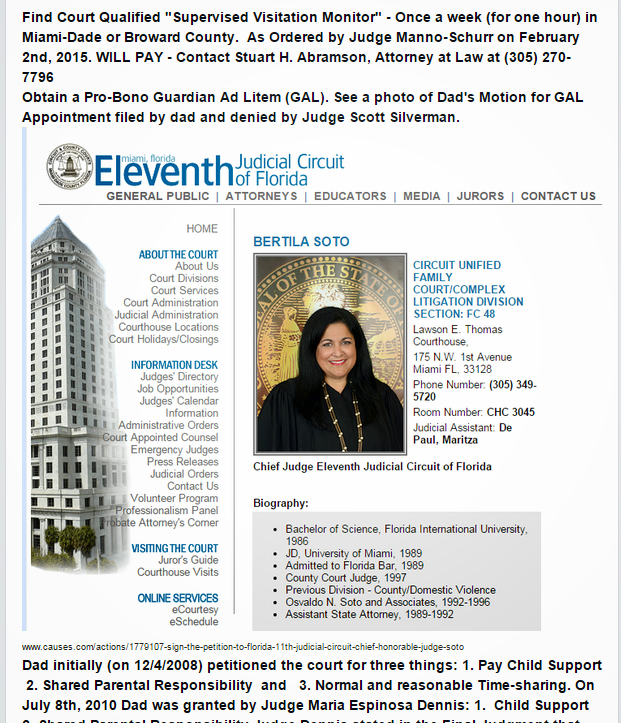 I've received superb references via reports written by Family Court Services staff/observers that were submitted to Judge Manno-Schurr of the 11th Judicial Circuit of Miami - Dade County Florida and are archived in case no. 2008-29595 FC 17. Keep in mind that I have joint custody of my son. The point is that anyone and everyone that has seen my daughter and I together knows that I am a great dad. The Judge refuses to read the entire history of the case and after 3 reports that indicate I\'m a great father she refused to accept my suggestion that my daughter and I meet with her in Judge\'s Chamber. She refused saying she was not a psychologist. I said to her that she doesn't have to be a psychologist...she just has to be HUMAN. 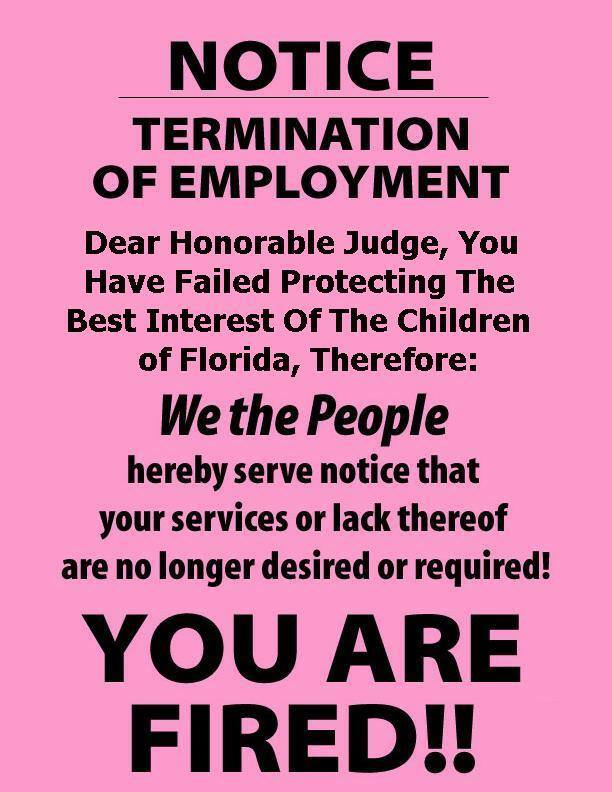 — at Family Courthouse -Miami-Dade.